If you fancy yourself a globetrotting gourmand, Istria should definitely be on the top of your must-visit list. 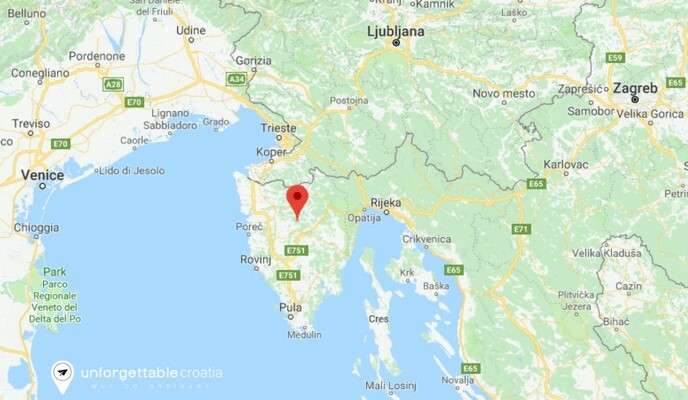 The heart-shaped peninsula is nestled in the northwest corner of Croatia, and is sandwiched between Italy and Slovenia. The ultimate gourmet getaway awaits you in this Mediterranean paradise. Whilst you explore the charming coastal towns and breathtaking countryside you’ll also have plenty of time to stop off at local wineries and restaurants, where you can sample their homegrown fare. 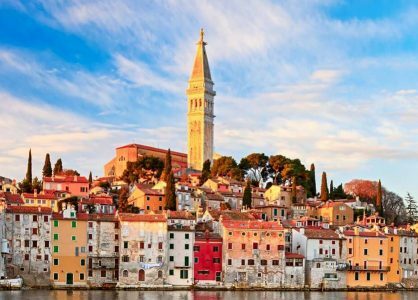 Whilst your primary objective whilst visiting Istria, may be to feast on delicacies and to drink the local wines, checking out the history and culture of the region is also worth doing. 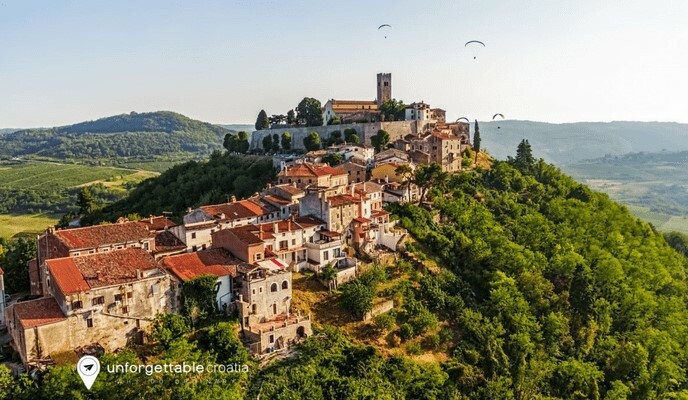 Motovun is a quaint medieval village situated high on a hilltop. From this vantage point you’ll be able to spot all the local wineries and truffle forests. Novigrad is located on the south west coast of Istria. The quiet historical town is a great place to relax and plan your next taste experience. Rovinj has a reputation for being a popular destination for lovers. The fishing town is also well known for its stunning scenery and gastronomic delights. Porec is a historical town and is situated on the coast. Aside from the local food and wine, its number one attraction is the famous 6th century Euphrasian Basilica. Honey is a popular ingredient that has been used in Istrian households for centuries. In April, the beekeepers extract fruit and dandelion honey from the honeycomb to begin the honey making process. Production of all-natural honey continues throughout the year. To taste test delicious honey, join a honey tour and learn all about the art of beekeeping. You’ll be able to sample honey, pollen and royal jelly, and also to purchase goodies to take home. Istria is well known for its olive oil production. Many of the rich, fruity liquid gold oils of the region are considered to be amongst the best in the world. Olive oil is a Mediterranean elixir with an abundance of health, vitality and beauty benefits. Take a tour of the historical olive oil routes and visit the local oil mills and cellars. You’ll be able to taste the elixir for yourself. Truffles were first discovered in the Istrian forests over 80 years ago. They have been a culinary delicacy ever since. In the forests you’ll find black truffles, and if you know where to look, the world famous white truffle can also be found. Join a truffle hunt and let specially trained dogs and guides show you how to find truffle treasure. 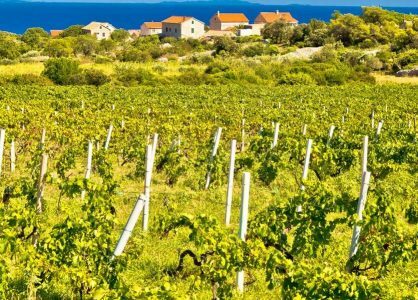 Istria’s geographical location, climate and soil, allows the vineyards to produce high quality indigenous grape varieties. Malvazia is the most famous wine in Istria, and is usually paired with seafood. Teran is the tipple of choice for meat dishes. 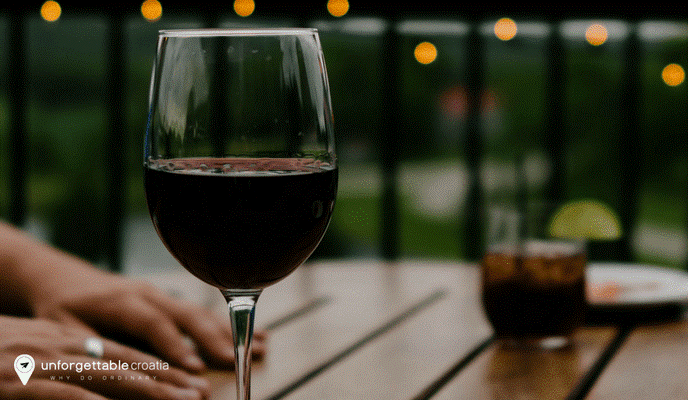 A glass of the sweet Istrian Muscat is the perfect end to a meal. Visit some of the local wineries, and explore the wine cellars, to learn about the special methods of production. Call our Croatia experts today. We’ll be able to let you in on the best-kept gourmet secrets throughout Istria. Speak to us today to plan Istria into a bespoke itinerary as part of a Croatia twin-centre holiday.